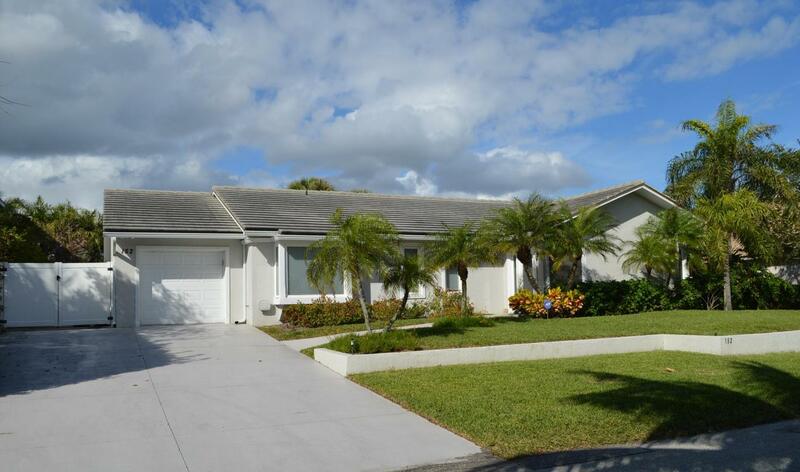 Florida Real Estate: Jupiter Inlet Colony Home For Sale! This Jupiter Inlet Colony gem is back on the market! This stunning four bedroom and three bathroom home is generously laid out over three thousand square feet of perfectly appointed coastal living space. The home boasts brand new wide plank wood floors throughout. The gourmet chef kitchen is fully equipped with a full suite of stainless steel appliances, sleek granite counter tops, and custom cabinetry. The best part about living in Jupiter Inlet Colony is there is only one way in and out of this exclusive enclave and they have their own police department. The pristine Jupiter Island beaches is only a very short walk from this home. The backyard features a covered lanai and a sparkling swimming pool. The top of the Jupiter Lighthouse can be viewed from the backyard and is gorgeous! 152 Beacon Lane located in Jupiter Inlet Colony and is currently asking $1,200,000.00.